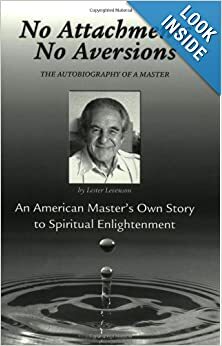 This compelling, riveting book will take you step by step into what Lester was discovering and feeling during his own personal quest towards realization. The book covers Lester's most intimate feelings about life before consciousness and then after his awakening. Lester shares with the reader the inner process he used to change a death sentence into a life of complete joy, fulfillment and peace. You will find yourself reading this book again and again. Each time, you will discover something profound that will help you in your own personal quest towards freedom. This book is truly a lifetime gift that will keep on giving to all who read it. In 1952, after being sent home by his doctors to die, Lester realized two TRUTHS that literally saved his life. The first is that his own feelings were the cause of all of his problems, and not the world or the people in it, as he had previously thought. He also realized his own negative feelings were what he had struggled so hard and long against. And, this struggle was what had destroyed his health and caused him to suffer in every way. The second truth is he discovered he had the inborn ability to let go of his negative feelings. He discovered how to completely discharge them and suppressing, coping and venting as he had previously done, he discovered how to totally release them. This put an end to his struggle! He found permanent happiness. And, he found the more he released his negative feelings, the happier and healthier he became. In fact, within three months he was completely well, and he stayed well for over 40 more years! Lester discovered something else - every aspect of his live got better, too. A short time later he became a millionaire! You know from your own experience, that when too many negative feelings build up in you, you feel anxious, uncomfortable and unhappy. The first thing you'll try to do is get away from them. You'll do this by suppressing them (hiding them from yourself is the worst thing you can do), coping with them (trying to escape their effects by various means), or by venting them. See your doctor and make sure your doctor agrees with and give consent to anything and everything you may read here, in this book, from Lazaro Angelus Lanza, in A Course in Life, or anything or anyone associated thereto in any way. Lazaro Angelus Lanza and/or A Course in Life make no healing claims whatsoever. Nothing contained herein or associated to the aforementioned in any way is to be construed as any healing claims whatsoever. You are to see your doctor and take advice solely from your doctor. None of these statements have been evaluated by the FDA nor any other medical professional person entity or organization governmental or private or other. Copyright © 2019-Eternity by Lazaro Angelus Lanza and/or A Course in Life. All rights reserved. Copyright infringement shall result in civil and/or criminal penalties. Everything stated above and below pertain(s) to Lazaro Angelus Lanza, A Course in Ife, or anything or anyone associated thereto in any way in perpetuity for all time into eternity and beyond in the universe or beyond. *Lazaro Angelus Lanza and/or A Course in Life, or anything or anyone associated in any way thereto, including anything tangible or intangible upon this webpage, or otherwise, make(s) no claim to be able to heal anything in any way whatsoever. The aforementioned offer solely opinions for entertainment purposes. Lazaro Angelus Lanza and/or A Course in Life, or anything associated in any way thereto, are never to be construed as, or replacement of, medical advice or medical protocol of any type in any way. †All statements and/or products of any type whatsoever herein or associated hereto in way whatsoever have not been evaluated by the Food & Drug Administration. The aforementioned statements and/or products are not intended to diagnose, treat, cure or prevent any disease. *No physical or mental doctors, or anyone, or anything associated thereto, have evaluated any of the statements or information conveyed by Lazaro Angelus Lanza, A Course in Life, or anything associated thereto, including anything in any form on this webpage, or otherwise. The advice of medical doctor should be attained before implementing anything in any way stated herein or associated in anyway thereto, or associated in any way whatever with Lazaro Angelus Lanza, and/or A Course in Life. *No one under 18 years of age is to be exposed to anything on this webpage.